← Kula is a Star! Lucee and I have left the Las Vegas and now reside in Bremerton, WA. A small little naval shipyard town on the west side of the Puget Sound from Seattle. My company has transferred me here to help build a large pier for the Navy. Lucee has adapted quite well to the new surroundings, very nosey and searching for the trail of her next mission. 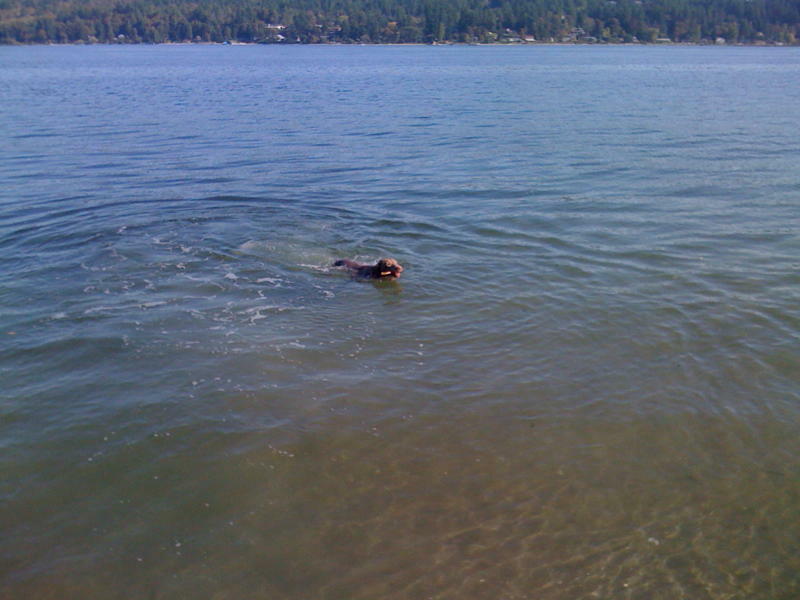 She has become a very good swimmer and once I get her in its hard to get her out. I took her for her regular check up last week and she is in perfect health and weight (50 lbs). Her long sleek and very sporty lines are so attractive and beautiful. Two Weimaraners are better than one!?! I have been really going back and forth with the idea of getting another Weim. I think that it would be good for Lucee and me, But I really love the relationship that Lucee and I have. I know that it would change if I got another one. I really wanted to get your opinion. I know you guys will have a very enlightening opinion, I am looking forward to what you have to say on the matter. I hope all is well with you guys back home. Breeder’s Note: Many of our clients add a second Weimaraner to their family with great success. Lucee is not going to abandon her firmly established relationship with Nathan. She will, however, have a new friend with which to run, play, and interact. 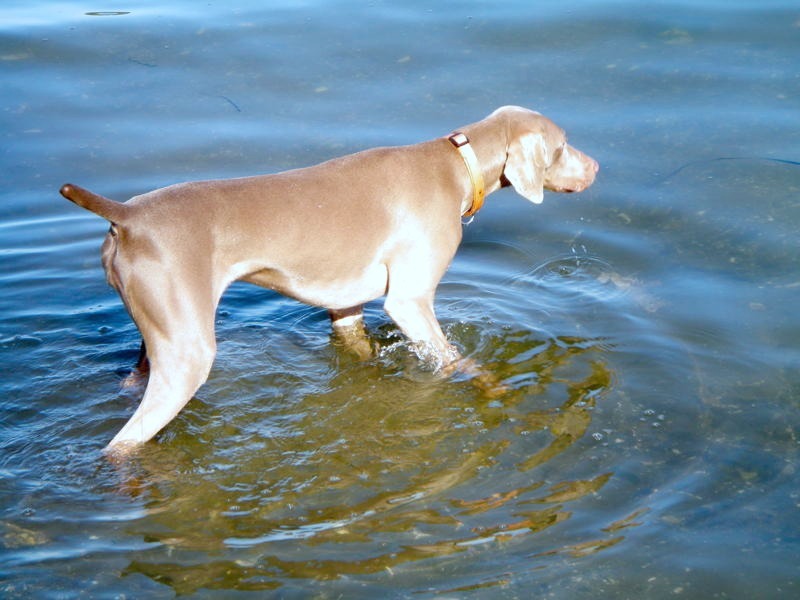 Often, once the first Weim is well established (and the length of time it takes to get a Weimaraner established can vary–but is usually at least a year) adding a second may actually be easier. Together they run off a lot of excess energy. Initially you have all the puppy issues and who knows exactly how this will play out but two Weimaraners seem to thrive together. Getting two at once is not a good idea. Some people do this, however, then the two Weimaraners will bond to each other. Think of a set of twins that have their own private language and sometimes ignore Mom. 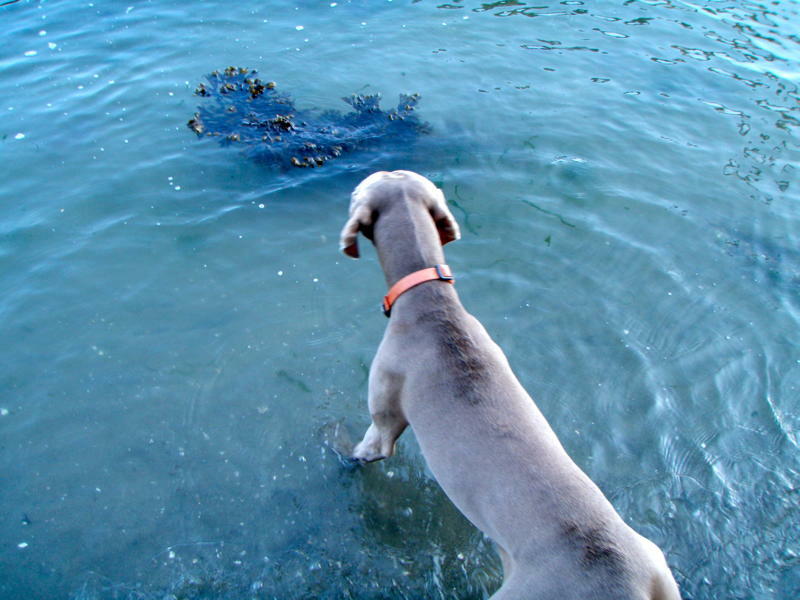 Weimaraners can likewise have their private connection that runs deep shutting out everyone else. 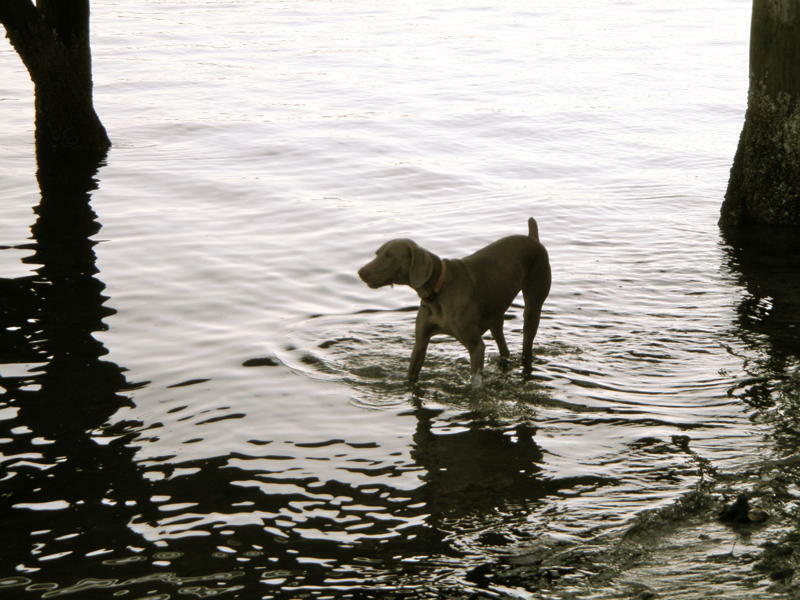 Weims can be deaf by choice too–only hearing what they choose. Having a relationship established with the first will alleviate these types of issues which play out in bad behavior and training issues. We feel it is wise to get one Weimaraner initially. It is wise to focus on your special relationship with this pup. It is important to get the basics worked through. Then adding a second Weimaraner will be easier in many ways. The first should lead the way. Although there may be a hitch here and there this is the best approach. Since Nathan first spoke to us, he has moved forward with his plan. He is very excited to add a second Weimaraner to his family. This time he is adding a blue male. We have been in contact back and forth on several occasions since this update on Lucee. As you might guess he is excited for the process to unfold. 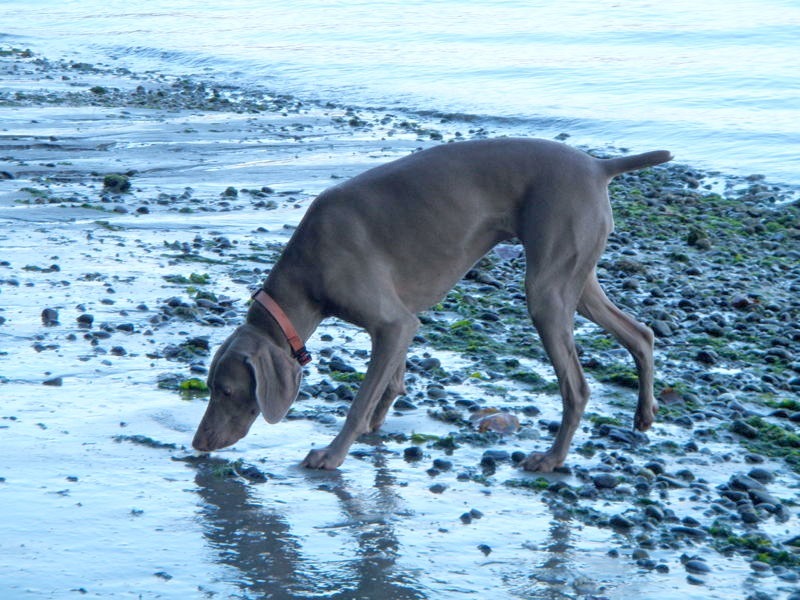 Posted on February 16, 2011, in Previous Pup Update, Storm X Zee, Two Weimaraners. Bookmark the permalink. 3 Comments. Clarence I of course agree, however, I think timing and the right combination makes a huge difference to the success and ease of transition. 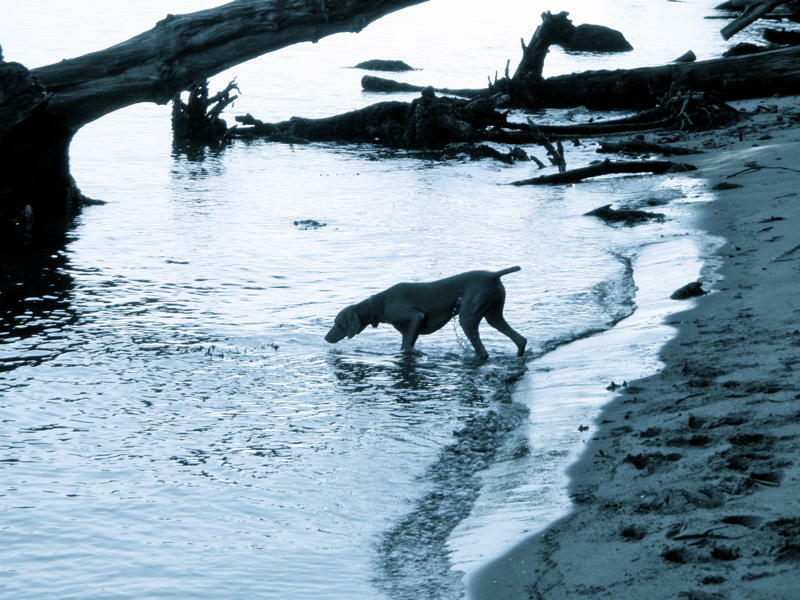 There are many considerations but for most people having more than one Weim is ideal……NOT many can do more than two. smiles A few do and they are true Weim whisperer types I think. My opinion only!